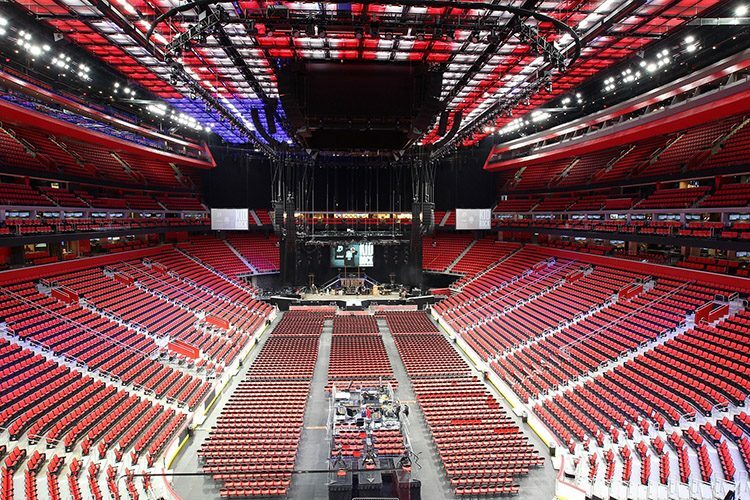 Designed by architectural and engineering firm HOK architects, the 863 million dollar, 20,000-seat arena is part of District Detroit as the major new attraction in the city’s rapidly revitalizing greater downtown. 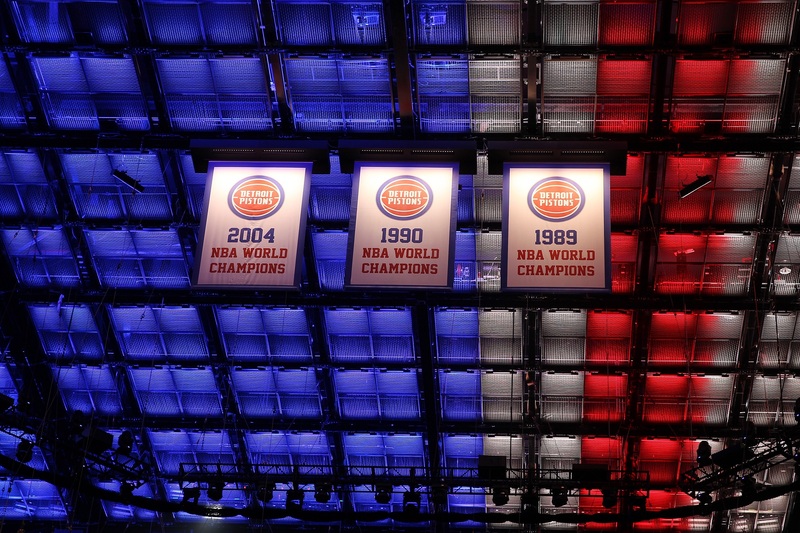 Home to the Detroit Red Wings and Detroit Pistons, the arena will be home to a slew of sporting and entertainment events. Built to maximize the live event experience, it is one of the most unique arenas in the world. The client wanted the arena bowl to be covered by a solid ceiling, rather than the typical black void of most arenas, but with challenges like HVAC and rigging to contend with, not to mention cost concerns, the solution wasn’t easy to find. The answer came in the form of SkyDeck, a tension wire grid system created by InterAmerica Stage. The open wire covering acts as a scrim over the bowl, a modular ceiling that can be reconfigured for any event. Although Crossfade Design tested several strip lights for the project, they quickly came to the conclusion that a custom solution was best. Only minimal features were required. The result was a custom spin-off of Elation’s six-color SixBar 500™ (1/2 meter) and SixBar 1000™ (1 meter) LED batten lights yet with RGBW LEDs only, a lower wattage and other design changes, such as moving connector locations for data and power, that allow it to keep a clean look. The remodified fixtures use 10W Cree RGBW multi-chip LEDs with each LED individually controllable, which makes a virtually unlimited number of designs possible. Custom mounting brackets were added to install the fixtures beneath 372 removable SkyDeck panels (4 fixtures per panel). Each panel has four quadrants that can be lit separately and each fixture has a custom-made glare shield attached so that the lights won’t shine into the audience’s eyes as seating extends nearly up to the level of the ceiling. Crossfade was also responsible for fixture addressing, all data and signal flow, including RDM, as well as initial programming of the lights. IC produced the design drawings and handled all of the coordination with InterAmerica Stage. Electrical contractor Motor City Electric installed the fixtures. Illuminating Concepts, Crossfade Design, InterAmerica Stage, Elation Professional, and Motor City Electric all collaborated on the project.